With a beachfront location, a pool and on-site dining, there's plenty to be happy about at The Royal Islander All Suites Resort. The non-smoking Royal Islander is a mid-rise property with several buildings that house a total of 179 rooms. Guests choose from standard rooms or multi-room suites. There's a swim-up bar in the large outdoor pool, and there's also an adjacent children's pool. The hotel has a restaurant, a fitness room and concierge services. 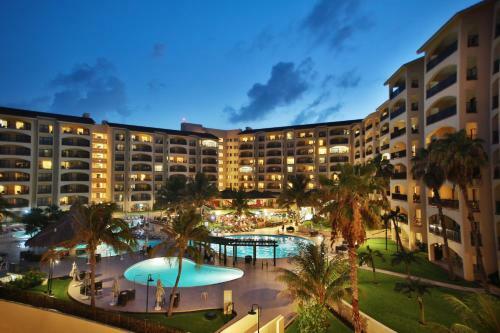 The hotel is about 30 minutes from downtown Cancun. You'll find golf courses within two miles of the resort, and guests swim with dolphins at Dolphinaris Cancun, five miles away. Learn about local culture at the Museo Maya de Cancun or the ruins at El Rey, each less than two miles away. The Interactive Aquarium and La Isla Shopping Village are about three-and-a-half miles up the coast. 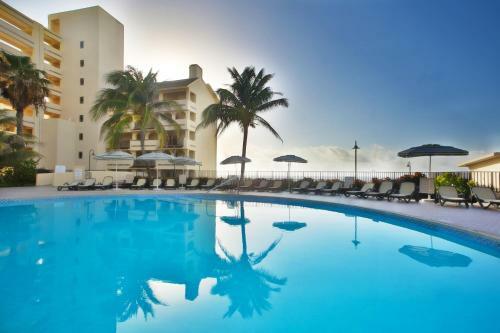 The hotel is 10 miles from Cancun International Airport. 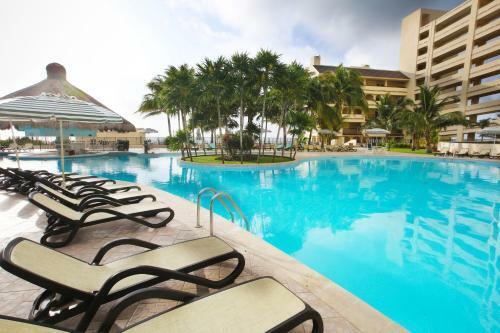 The Royal Islander All Suites Resort overlooks the white sand beach and Caribbean Sea, and keeps guests busy with a huge outdoor pool and dining. 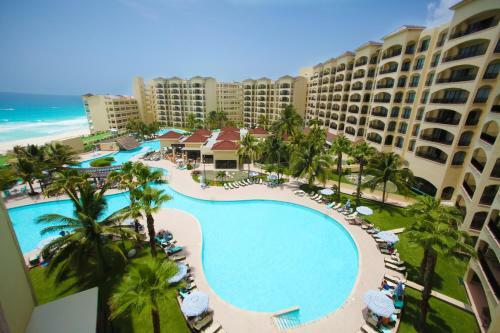 The Royal Islander All Suites Resort is an ideal Cancún lodging choice for your trip to Mexico. With numerous amenities for guests such as 24 hour front desk, restaurant, gift shop, you will wake up at The Royal Islander All Suites Resort feeling invigorated every day for your time in Cancún. Don’t let this amazing reservation opportunity pass you by, book your stay at The Royal Islander All Suites Resort today to make the most of your time in Cancún, Mexico.